My Ludum Dare lasted a long and arduous 12 days of Christmas. Like about half the Ludum Dares I participate in, I started out with a far too ambitious idea and went from there. This time the idea was a monster: A meta-game space-sim influenced by stats generated by unique play-style within 4 built from scratch mini-games. Seemed simple enough, but it wasn’t :/. Maybe I was procrastinating looking for a real job (which I still need, shout out to employers lol), or maybe I was just hooked, but for some reason I just kept working at it, more and more and more and more. I’ve done basically nothing these past two weeks but code this game. And now it’s finally done…ish. For one thing I’m not an artist, so it’s been Frankensteined from art assets that I found online (ones with rights permitting). Ditto goes for the audio, which wasn’t even present in my LDJam build. My LDJam build is semi-playable, and moreso it stands as a testiment of what an abandoned good idea looks like before it’s un-abandoned. I don’t know exactly what I expect now, the original LDJam version isn’t polished enough to likely get any positive feedback, and this version, well obviously it took too long (by about 12 days). That said, I’d still love to hear people’s thoughts on either. I’m usually a very prolific LD game player/reviewer, so now I’m going to dive into that, I hope people play my game to it’s “Merry” end. If it’s well received it’s not too far off from being able to be ported to Android as an official Google Play store release. (I’m thinking of throwing my last LD Game on there too for free, just a heads up to Tiger Handheld enthusiasts). Click Here to go to the LD Page! So as some of you may know I put out a open call like a weak ago to get turned on any awesome LD29 games I might not have played. My goal was to play as many as possible (and attempt to beat them all) and then come up with a top 10 in each category. Well, I’ve played 350 games (third highest reviewer of this LD), played every game that was requested by somebody in that post (Which was a lot, thanks for the interest), and I’ve beaten most of the games (There is one LD game I know for sure I’m the only person who has beaten…), and now I’m compiling my video of my picks for top tens in each category and it looks like it should be done… in more than a couple hours. I’m still going to finish it and share it with you guys, I just really really wanted to have it done before the end of judging seeing as interest in such a video is liable to drop off very very fast after judging is over. So for those who are among the 350 I’ve reviewed (or anybody else who is interested) please keep an eye out for it, the results of judging will not influence my top 10s which I’ve already decided. Thanks for being such an awesome community, guys, and I hope you like the video when it is finally done. After 250+ reviews I’m going to release a video with my top 10’s for each category!!! Beneath the… hey, look, shiny things! Wow, a lot of people are posting some promising looking games! This theme might turn out to produce some awesome games. As for me I’m hopeful for my game, last night I coded a basic platformer in unity, now time to code the main mechanic, and try to produce art even though I’m really bad at art. Keep up the great work everybody, there are several games I’m excited to play. So wish me luck, tonight’s goal is just to have a rough version of the engine (without the major mechanic yet). 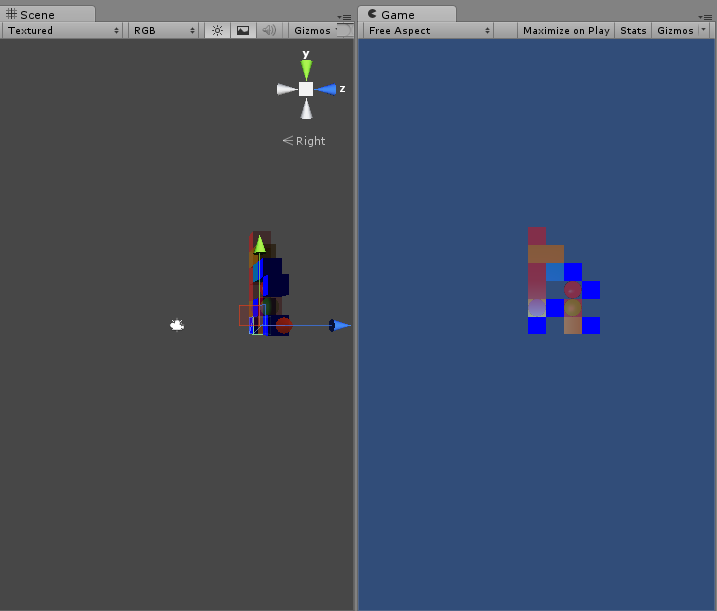 I’m using Unity, I learned last time LD is not a good time to try out a new development setup for the first time. Now due to popular demand: A tutorial video for my game, Zephyr! It’s a shame that it can’t be embedded in the notes section of my game’s page, not sure why that is. Anyway if you haven’t given it a look before, now is the perfect time to check out Zephyr. Do you have to submit before the 72H time limit is up? Or just be done by the 72H time limit? Sorry I should know this I’m just heavy into my game. 3 Hours in to my 2 Hour game… probably about 20% done. Can you use creative commons music in your LD game? I’m used to making videos without copyright issues so I know it isn’t bad legally but I don’t know if it jives with LD’s rules, I’ve seen some people us CC stuff for their sound effects but I don’t know if it’s allowed for for music or not. Public domain/Creative Commons 0 are two things that I really wouldn’t see why they couldn’t be included, but obviously I don’t know for sure which is why I’m asking. Spent a lot of time coding but like writing it’s easier to start than to finish. So this LD will be a great oppertunity to actually finish a game. I’m going to try to make a 2-hour game because I know with that as my goal it’ll probably only take 40 hours. My only hope is that I make something others legitimately enjoy, because that should give me the confidence to finish my in development projects finally. 30 queries executed in 0.097 seconds.